Just having a meal at the house with Jack recently and I decided to open one of the beers trying to hide in the back of the fridge. I must admit, at first I overlooked this beer because it was in a can. How thoughtless of me! Good things can come from a can too! 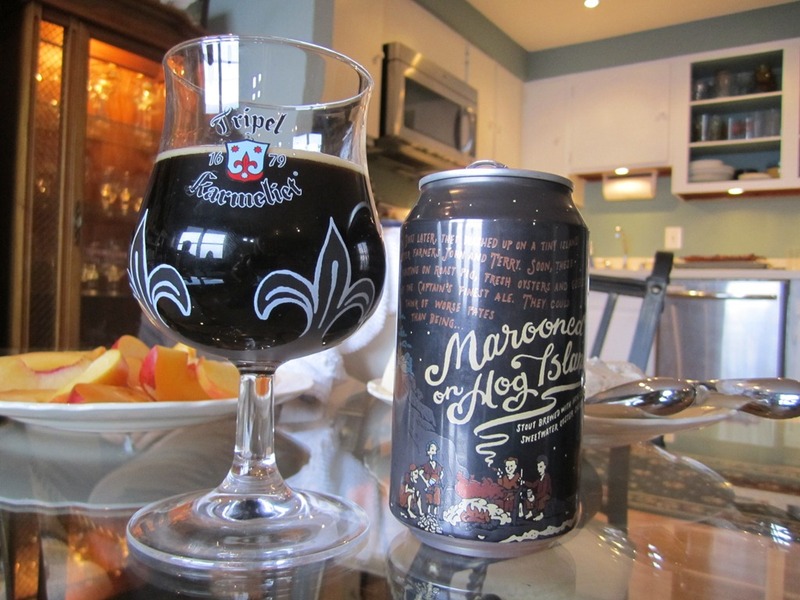 I had Marooned on Hog Island by 21st Amendment Brewery of San Francisco, CA at 7.9% abv. This beer is an oyster stout! The second one of its kind that I’ve gotten to try. I have to say, the beer is pretty well done! Lots of chocolate and malts to compliment the very light tangy brine flavor, almost like smoked seafood. Combined with the roasted malts it gives is a tasty earthiness. Also, light coffee and caramel, creamy. Not bad, and at 7.9% its got a bit more kick than the other oyster stout I’ve tried. With a few friends joining us for dinner, it made the decision easy to finally open a beer that’s been hiding in the back of the fridge for a while. 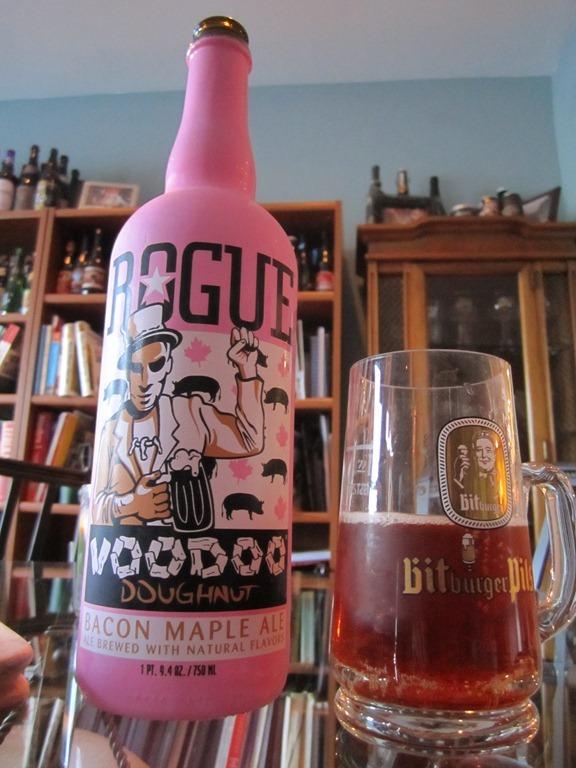 We all split the Rogue Voodoo Doughnut Bacon Maple Ale by Rogue Ales of Newport, OR at 5.6% abv. A very odd beer. Took me a few sips to really get into it. There’s just a lot of flavors bouncing around and you need a few minutes to comprehend the beer. I would say that first and foremost this beer is a smoke beer. A very meaty smokiness, applewood-smoked bacon. Then comes the rush or sugar and maple syrup. This was one of those beer that it was good to split, because I don’t think I could’ve drank much more than a small glass. But it was fun to try and great to split with a group of people! 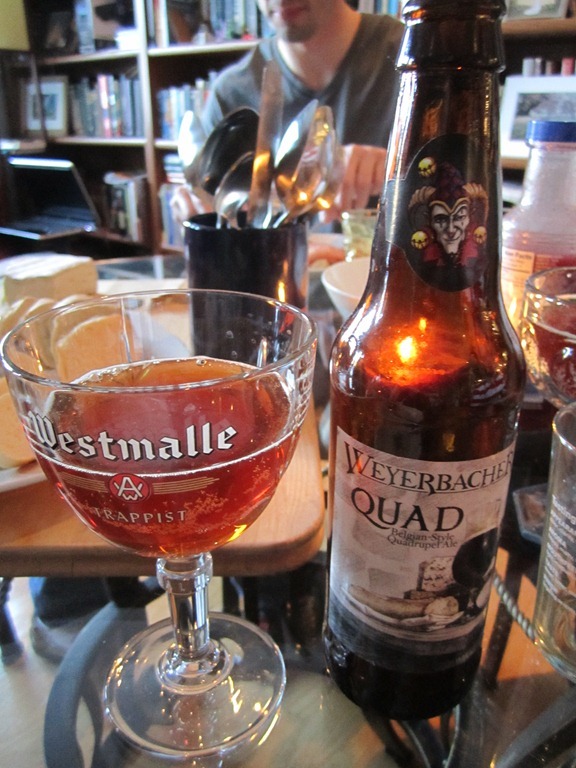 With dinner I had a Weyerbacher Quad. 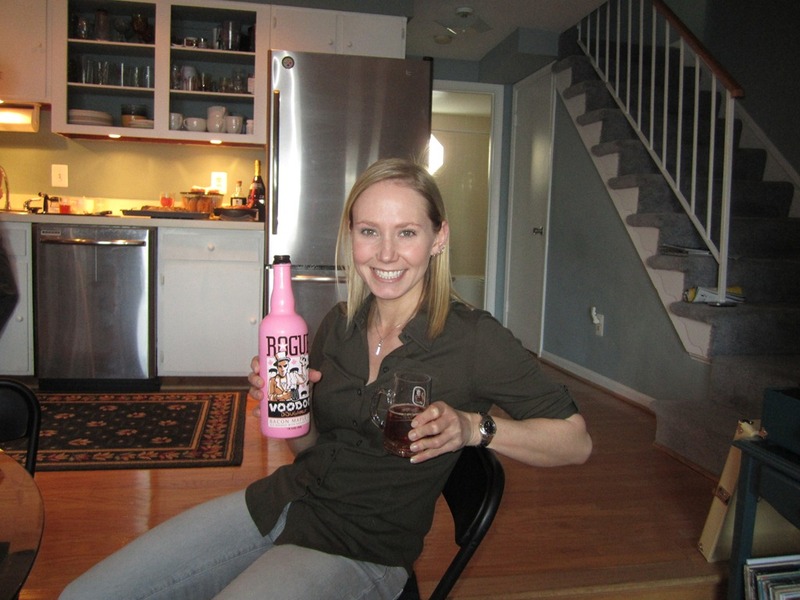 We still have a ton of them in the fridge from our brewery tour. 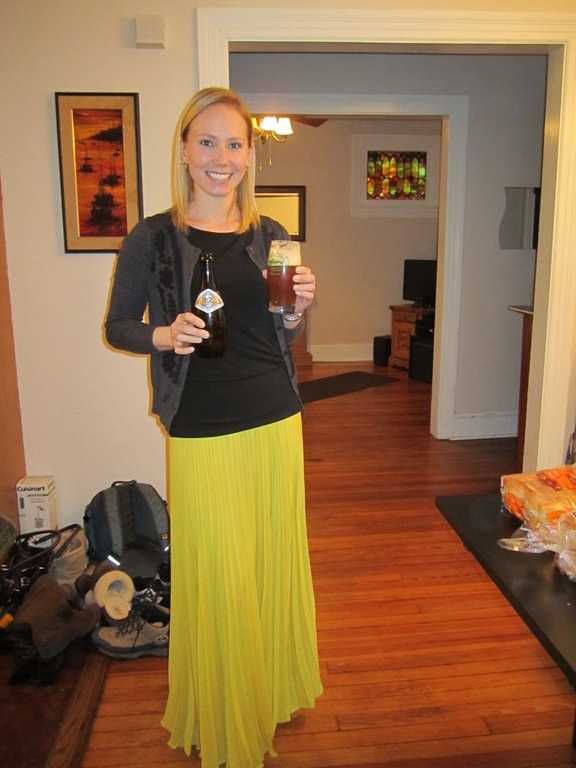 It was a great relaxing evening with good beer, good food and good friends! Knowing that I had a trip to Nevada coming up, I have very little time to plan a trip home. 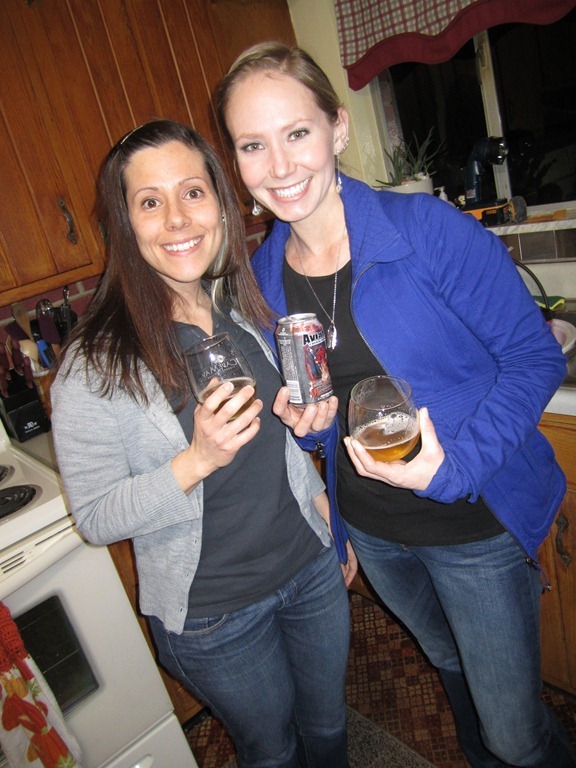 But I managed to sneak a trip home and hang out with my favorite ladies! While catching up we split Aviator Devil’s Tramping Ground by Aviator Brewing Company of Fuquay-Varina, NC at 9.2 % abv. I rarely drink IPAs so I find the flavors to be almost overwhelming! 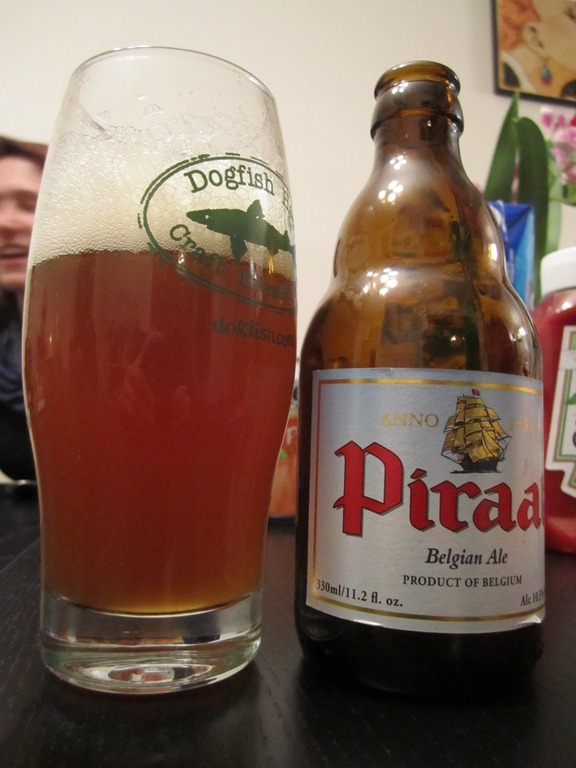 Hints of bananas from the hops, also cloves and an earthy-herbal hay grassiness to it. Slight yeast finish and biscuits. Not bad at all! But glad it was only a sample size. IPAs are very intense. Later I met up with Lisa at the South Side Saloon and we discussed wedding shower details and also planned the bachelorette party. While there, I had a new beer I’ve never come across before. 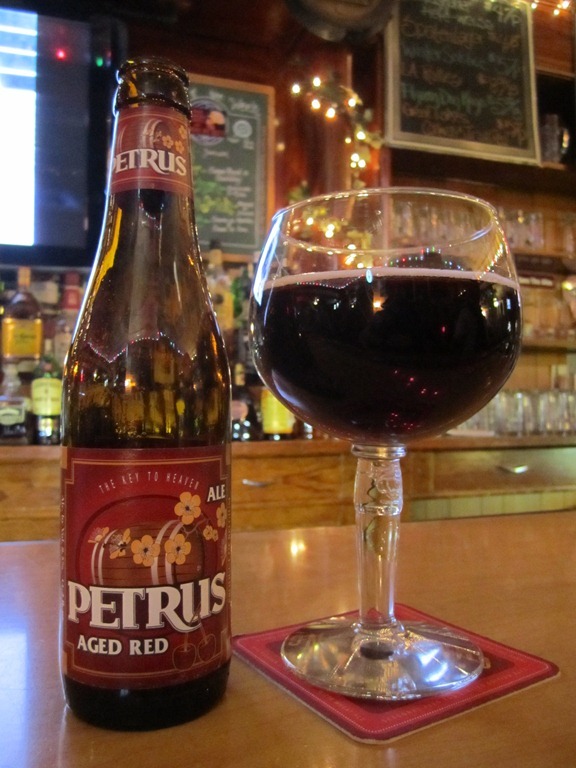 The Petrus Aged Red by Brouwerij Bavik of Harelbeke-Bavikhove, Belgium at 8.5% abv. Right off the bat it automatically reminded me of Kasteel Rouge. Very intense cherry, slightly medicinal, and not as tart as I expected it to be. Bright and fruity. Absolutely beautiful color, a dark garnet, but expect more of a fruit beer and less of a Belgian. Still, I’d drink it again!